The South Queensland Caravan, Camping & Fishing Expo is a huge outdoor event held at the Nambour Showgrounds each year. At this expo, you will find the latest products and services available including caravans, trailers, motorhomes, 4×4 vehicles and accessories. This is the best place to find the best camping and fishing gear as there will be over 140 exhibitors displaying the best that the industry has to offer. Browse through the latest upgrades of campervans and motorhomes as all the latest models will be on display, as will some awesome fishing boats and trailers. Browsing is the aim of the game, so come and see the products before you buy! The South Queensland Caravan, Camping & Fishing Expo will also have heaps of competitions, with plenty of great prizes up for grabs. Bring the whole family, as there will also be heaps of entertainment including a 4×4 obstacle course where you can see vehicles test various challenging terrains. Multiple day tickets are available, and you can get your free return pass from the gate as you make your way out of the event. Parking will be available on site. There will also be a number of food stalls inside the expo selling hot food and cold drinks. There is an ATM located inside the showgrounds. 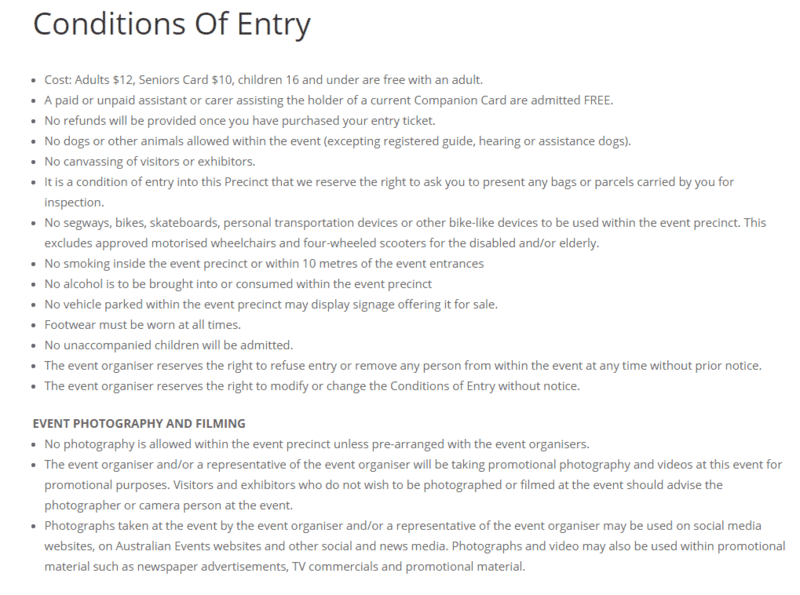 Please note that pets are not permitted within the expo with the exception of service dogs. So come on down to South Queensland Caravan, Camping & Fishing Expo and have a great day in the outdoors!